When a tooth extraction is a part of your oral treatment plan, our board-certified periodontist, Dr. Donald Steinberg in Bedford, TX, can surgically extract impacted, diseased, or multiple teeth at the same time. The removal of impacted teeth is a serious surgical procedure, and each tooth needs to be carefully removed to prevent damage to your healthy bone and gum tissues. Post-operative care to reduce pain or the risk of infection and swelling can be limited if the instructions are followed carefully. When your primary dentist refers you to DFW Implant Team for surgical teeth extraction, please know that we will do our best to provide you with compassionate, quality care. Call for a consultation today. We offer surgical tooth extractions for teeth or teeth not visible above the gum line, such as severely broken teeth or teeth with long, curved roots, which may require the more complex surgical extraction. 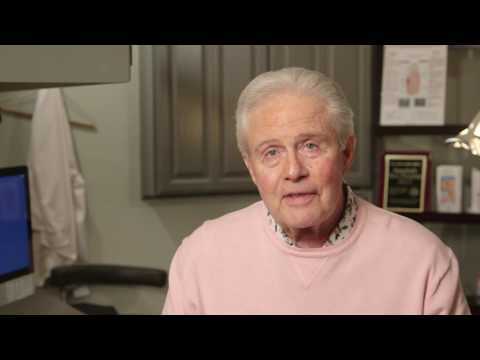 To achieve a successful extraction, keep in mind that to gain access to an impacted tooth, Dr. Steinberg may have to cut through bone, gums, and/or soft tissue to remove it, and the area will be closed with possible bone grafting and a suture. DFW Implant Team offers IV sedation and anesthesia to keep you calm and comfortable throughout the procedure. We would like to offer a few reminders after your tooth extraction. Please follow all of the instructions given to you at our office for your specific treatment (some patients have more than extractions performed at the same time) to aid in the healing process. A soft diet of healthy foods and plenty of drinking water will be needed on the day of surgery. Follow Dr. Steinberg's recommendation as to when to start regular foods so you do not disrupt the healing process. Do not drink from a straw, smoke, or vigorously exercise for at least 72 hours after your extraction. It may dislodge or disrupt an established blood clot formed, and excessively bleed. If you experience any allergic reaction to the medication, excessive bleeding, pain, or swelling, please call our office for further instructions. Some bleeding and swelling can be expected. If the pain exceeds pain medication you are currently taking, please call our office. Make sure to take all of the prescribed medication (antibiotics, pain relievers, etc.) exactly as Dr. Steinberg instructed. Do not stop antibiotics because you feel better. After 24 hours, you can brush, floss, and use mouthwash like normal. Be gentle with the treatment area. Whether you need one, several, or all your teeth surgically removed, our board-certified periodontist, Dr. Steinberg, will provide you with in-office services that are safe and effective. Our staff will monitor your well-being until you are ready to return home. Call today to schedule your first consultation, and learn more about tooth extractions with DFW Implant Team.